France today is a secular country, but for many centuries, the official religion was Catholicism. Catholicism was very firmly anchored into the French society, and left its mark upon the daily life (the religious holidays are celebrated by everyone) and also upon the architecture. Indeed, religion equals a place of worship and centuries of Catholicism have brought no less than 50,000 churches to French territory, and the city of Paris alone has almost 200! Two hundred is a lot, so France Hotel Guide has made a list of the must-see, most beautiful churches in Paris. This icon of the French capital city doesn’t need any introduction. 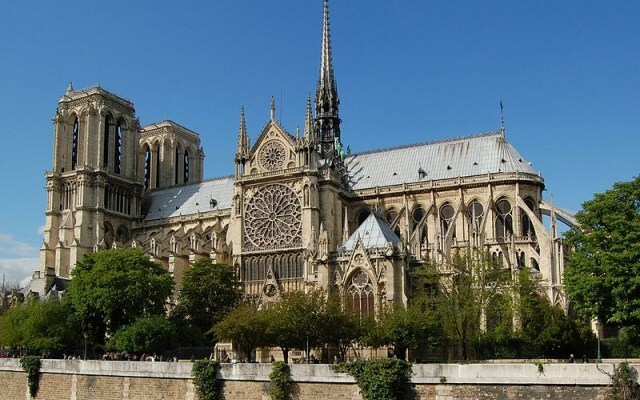 The Notre-Dame de Paris cathedral is located on the Ile de la Cité, in the 4th arrondissement. It took more than 200 years to build and, for a long time, it was the highest building in Paris. It hosted the coronation of Napoléon Ist and his wife, Joséphine de Beauharnais, which inspired the painter Jacques-Louis David to do the famous painting The Coronation of Napoleon, today exhibited in the Louvre Museum. The Notre-Dame de Paris cathedral also has a major role in the mythical eponymous novel by Victor Hugo, published in 1831. In this famous novel, Quasimodo, an orphan hunchback living in the cathedral as a bell ringer, falls in love with the beautiful Esmeralda, a bohemian who dances at the town square. Opening hours: The cathedral is open every day from 7:45am to 6:15pm (7:15pm on weekends). Prices: The entrance is free. From the top of the Montmartre Hill, the Sacré-Coeur basilica overlooks the city and watches over the Parisians. Built after the Franco-German war of 1870, the aim of its construction was to forgive the sins committed during the fights. Built in white stone, it possesses the biggest bell of France, the Savoyarde, that was offered by the Savoie region and measures 3 metres in diameter. The inside of the church is particularly beautiful, with the painting of the Christ into the choir. It is interesting to note that, since its construction in 1885, the worshippers have been perpetually praying, day and night, because the Basilica is devoted to the perpetual worshipping of the Blessed Sacrament. From the esplanade, the view of Paris is breathtaking and makes for a beautiful panorama picture. Opening hours: The Basilica is open every day from 6am to 10:30pm. Access: Métro station Jules Joffrin (line 12) + Montmartrobus (stop Place du Tertre), Pigalle (line 2 and 12) + Montmartrobus (stop Norvins), Anvers (line 2) + funicular (costs 1 metro ticket) or stairs, Abbesses (line 12) + funicular or stairs. 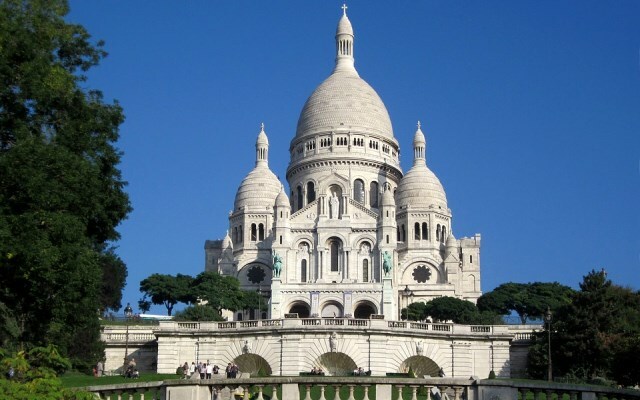 For more information on the Sacré-Coeur basilica, you can check the official website here. Built to receive the crown of thorns of the Christ and a piece of the real Cross, the Sainte-Chapelle was built by Saint-Louis between 1241 and 1248 on the Ile de la Cité. The relics were destroyed during the French Revolution in 1789, but it is for the magnificent glass stained windows, giving the inside a surreal atmosphere, that we visit the Sainte-Chapelle today. Moreover, they tell the story of the Old and the New Testament, and the history of the world up until the arrival of the relics in the chapel. After being abandoned following the revolution and until 1836, the Sainte-Chapelle had to resort to a restoration that lasted 26 years. The biggest part of the monument we visit today is from the 19th century, but it does not take away the beauty of the building. Opening hours: Open every day, from 9am to 5pm from October to March, and from 9am to 7pm from April to September. Closed on January 1st, May 1st, and December 25th. Prices: The full price ticket is 10€, the reduced fare ticket is 8€, and the entrance is free for those who are younger than 25 years old and live in the European Union. Access: 8 boulevard du Palais, 75001 Paris. Metro Cité (line 4), Châtelet (lines 1, 4, 7, 11, 14) or RER B or C Saint-Michel station. For more information on the Sainte-Chapelle, you can check the official website here. 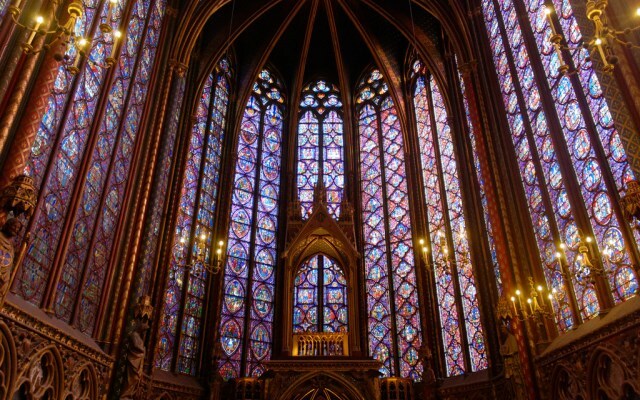 Book your tour of the Sainte-Chapelle. Place de la Madeleine, 75008 Paris. Built by Napoleon Bonaparte as a temple to the glory of his armies in 1806, the building was turned into a church in 1845. This church is devoted to St. Mary Magdalene, an essential woman in the life of Jesus Christ. The façade is made of an octastyle gate, which reflects the neoclassical polish, a style inspiring itself from the Ancient Greece and Ancient Rome. The interior is richly decorated with columns, paintings, and sculptures. 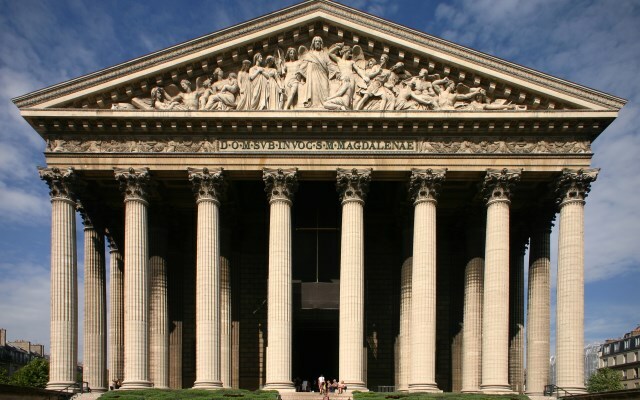 The sculpture representing the ravishing of Mary Magdalene and the painting of the Christ’s resurrection is a must see, as well as the huge organ, on which Camille Saint-Saens and Gabriel Fauré, two famous French musicians, have played! Access: Metro Madeleine-Tronchet (lines 8, 12 and 14). 3, Place Saint-Germain des Prés, 75006 Paris. 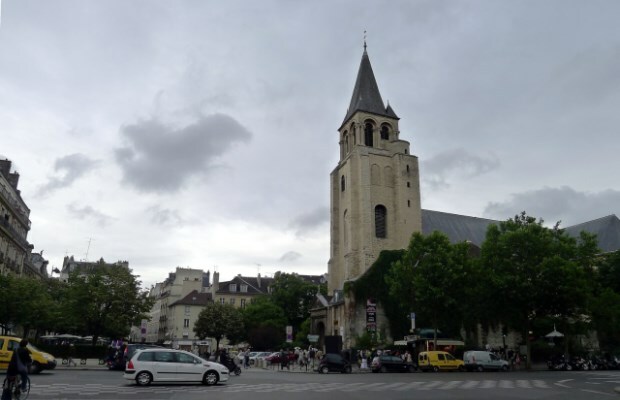 The Saint-Germain des Prés church is the oldest of the great Parisian churches. Indeed, its construction started in 543 A.D. Originally a royal abbey devoted to the Holy Cross, the church was rebuilt after the 10th century with a gothic style, and was one of the first constructions with this style in France and in the world. After the French Revolution, all abbeys were closed, and so the Saint-Germain church was closed in 1792 and turned into a saltpeter factory. In 1803, the church was reopened and the cult resumed. With the architecture and decorations that attest its history, the Saint-Germain church is among the most interesting of all Paris! Access: Metro Saint-Germain des Prés (line 4) or Mabillon (line 10). 2, impasse Saint-Eustache, 75001 Paris. Built in 1213, the Saint-Eustache church was, at first, a small chapel, made to keep some relics that used to belong to the Roman martyr Saint Eustace. Over the years, it became more and more popular and, in 1532, the expansion began. For over two centuries, the church was expanded and improved, and the final outcome is surprisingly uniform. After the French Revolution, in 1793, the church was closed and turned into the Temple of Agriculture until 1795. 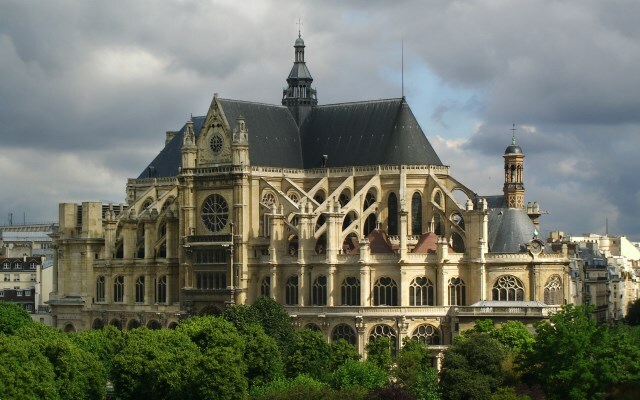 The church of Saint-Eustache is a mix of gothic and renaissance styles, and is as beautiful on the outside as it is on the inside. The stained-glass windows and the paintings, in particular, are very pretty and a must see! Opening hours: The church of Saint-Eustache is open from 9:30am to 7pm on weekdays and from 9am to 7pm on weekends. Access: Metro Les Halles (line 4) ou Châtelet (line 4, RER A, B or D). For more information on the Church Saint-Eustache, you can check the official website here. (link in French). 12, rue Daru, 75008 Paris. The only Orthodox church on this list, the Saint-Alexandre-Nevski cathedral, was built between 1847 and 1861 and is dedicated to Alexander Nevsky, a Russian war hero who lived between 1220 and 1263. 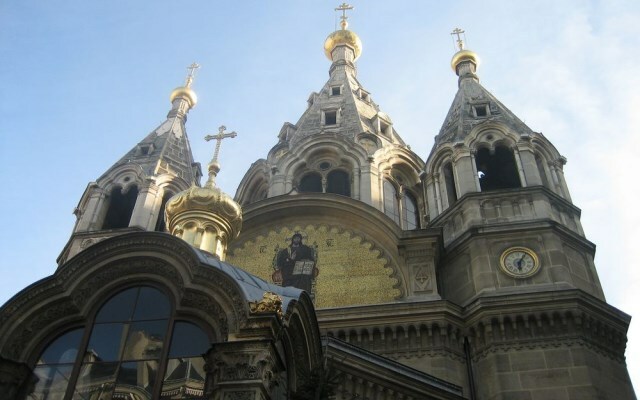 It is the place of worship for the Russian expatriates living in Paris. The exterior of the cathedral, with an orthodox style, is particularly beautiful with its gold covered crosses. The interior is richly adorned in a byzantine style and is covered with icons. The visit to this cathedral is always worth it, so don’t hesitate! Opening hours: The cathedral is open on Tuesdays, Fridays, and Sundays, from 3pm to 5pm. Access: Metro Ternes (line 2). Place de Saint-Augustin, 75008 Paris. 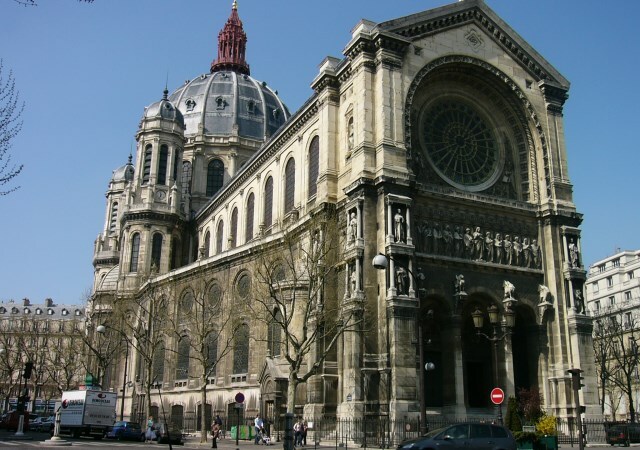 Built between 1860 and 1871, the Saint-Augustin church is located in the 8th arrondissement of Paris. At the crossroads of the Boulevard Malesherbes and the Boulevard Haussmann, it is one of the noisiest churches of Paris, but it doesn’t stop it from being magnificent. Indeed, the Saint-Augustin church was the first religious building of its size to use the techniques of iron and cast iron. This way, it doesn’t need any buttresses. The interior is entirely sculpted with a few occasional paintings. There’s no need to tell you that this church is a must see! Opening hours: The church is open for visits from Mondays-Fridays, from 10am to 4:30pm and on Saturdays from 10am to noon. During school holidays, it is open from Mondays to Fridays, from 10am to 1pm. Access: Metro Saint-Augustin (line 9) or Gare Saint-Lazare (line 9, 12, 13, 14).